The media in South Africa commemorates the 41st anniversary of the infamous “Black Wednesday” which happened on the 19 October 1977, The World and Weekend World newspapers and several organisations were banned. We think this day is a good time to reflect on the state of journalism in the country in 2018, especially in light of the recent scandal that has rocked a Sunday newspaper. We have come a long way to media freedom in this country. Being Africa’s oldest community radio station project, which at one stage faced the full wrath of the apartheid government, we feel it is our duty and responsibility to promote accurate and fair reporting. Bush Radio does not have the resources to be a “breaking news” station, but it is our duty to be accurate and give our listeners an opportunity to make up their own minds. This however can only happen if we present all sides of any argument, through good research and having access to role-players like politicians on a local, provincial and national level – this is proving harder and harder as officials simply refuse to comment or respond to questions from our newsroom and producers. We call on all role-players who have an interest in improving the lives of the people on the Cape Flats to be accessible, especially to community media who truly speak and represent the people of Cape Town. It is only by engaging on the hard questions that we can truly claim to be improving the lives of citizens – and being a platform where people and audience can engage with political and social leaders. Thereby learning, healing and growing this wonderful city. As a place where many young journalists start in their careers, we call upon our audience to hold us accountable and engage with us around our reporting and broadcasts. On this day in 1977 in South Africa, then Minister of Justice Jimmy Kruger, banned The World and Weekend World newspapers by stating that these publications were “publishing inflammatory material that threatened the nation’s security” and the paper’s editor Percy Qoboza and other journalists were arrested and jailed. The organisations banned were BPC, SASO, Black Community Programmes, Black Parents Association, Black Women’s Federation, Border Youth Organisation, Eastern Province Youth Organisation, Medupe Writers Association, Natal Youth Organisation, National Youth Organisation, SASM, Soweto Students Representative Council, Soweto Teachers Action Committee, Transvaal Youth Organisation, Union of Black Journalists, Western Cape Youth Organisation, Zimele Trust Fund, Association for the Educational and Cultural Advancement of African People of South Africa. Able to speak, write and read in English & Afrikaans/Xhosa, willing to explore new frontiers in media? From the Cape Flats? Willing to learn and work hard? Record sound, conduct interviews, compile bulletins, read bulletins, take pictures, record video, cover events, test your skills LIVE to a listening and online audience of over 375 000 people, build your career and profile? This is a full-time contract position (1 year contract after 6 months’ probation) – NB: Students SHOULD NOT apply. Only email applications will be accepted. Curious, adventurous, always looking for a story, willing to hunt down a source, energetic. If your answer to the above is yes, then a volunteer news trainee position in the Bush Radio newsroom is for you. Motivation letter which answers the following two questions: (a) Why you should be considered for this internship? (b) How news affects your daily life. Bush Radio 89.5 FM is looking for volunteer recruits for its newsroom. You have to be energetic, curious, willing to learn, a team player and passionate about news. 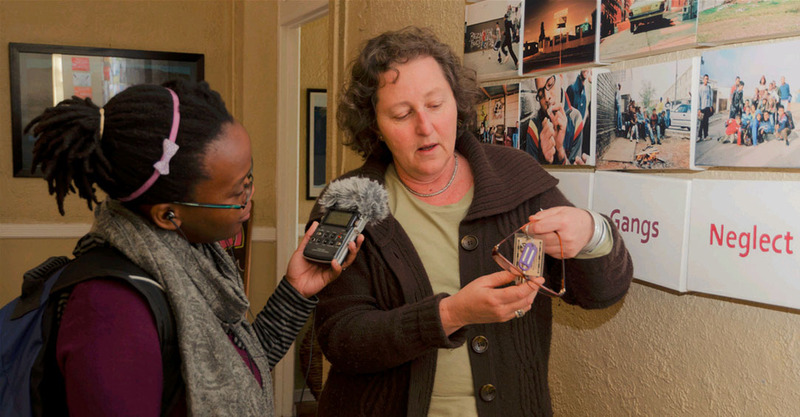 Are you interested in helping develop Bush Radio’s newsroom? Are we covering the right stories? Are we delivering news/it in the right way? Is it news that our audience can use? Do you have basic managerial and editorial skills? Then Bush Radio 89.5FM has a position for you as a newsroom co-ordinator. We are looking for a dynamic, driven, hardworking and enthusiastic individual with a flair for, and the basic understanding of the running of a newsroom who is willing to be mentored to help develop Bush Radio’s newsroom: in terms of policy, content, delivery (reading) editing and networking. 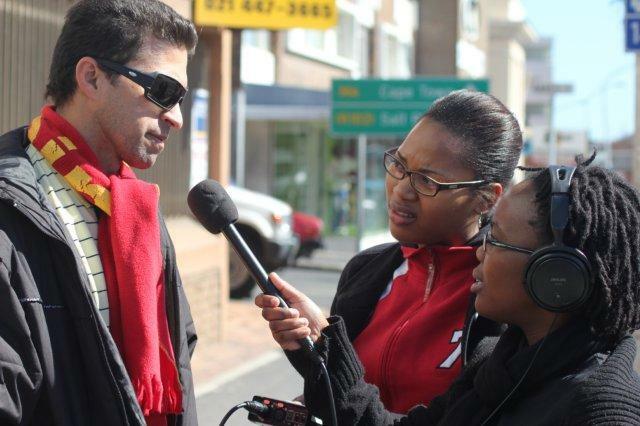 In return Bush Radio will offer the candidate access to local and international training as it becomes available, as well as mentoring by senior Bush Radio management in order for the candidate to develop into a fully fledge radio news editor. Duties will include: Ensuring that Bush Radio adhere’s to its newsroom polices, that content is developed to meet these requirements, ensure that all content published by the newsroom (ie bulletins, online articles, current affairs, features) are of a high and constantly improving quality. No formal journalism or media qualification is a requirement but would aid application. Experience in working in a newsroom would be an asset. Salary R 4 500 to R 6 000 based on skill level and experience. A motivation letter, including basic ideas on what you think community radio’s news priorities should be, as well as some detail on how you would transform the current news on Bush Radio 89.5FM. Since before 1993, Bush Radio has been training those interested in media. It is often said, that it is hard to go to any broadcasting facility in South Africa without running into someone who has come via Bush Radio. News has always been an important part of the stations programming. We are looking for 4 recruits for the newsroom. You do not need a formal qualification to apply but should fulfill the criteria listed below. You will not receive payment! 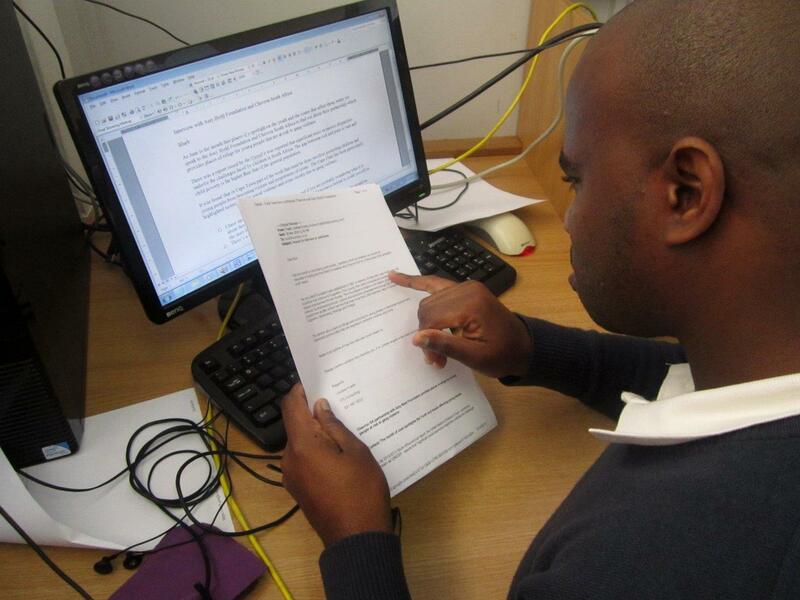 This is a volunteer internship at Africa’s leading community radio station. Training allowance of R500 per month for 3 months (probation), increased to R 1000 thereafter, non negotiable for 9 months. Bush Radio 89.5 FM, Africa’s oldest community radio station project is offering local internships in its programming department for 4 trainee producers. The internship runs for 2014 and is fulltime*. 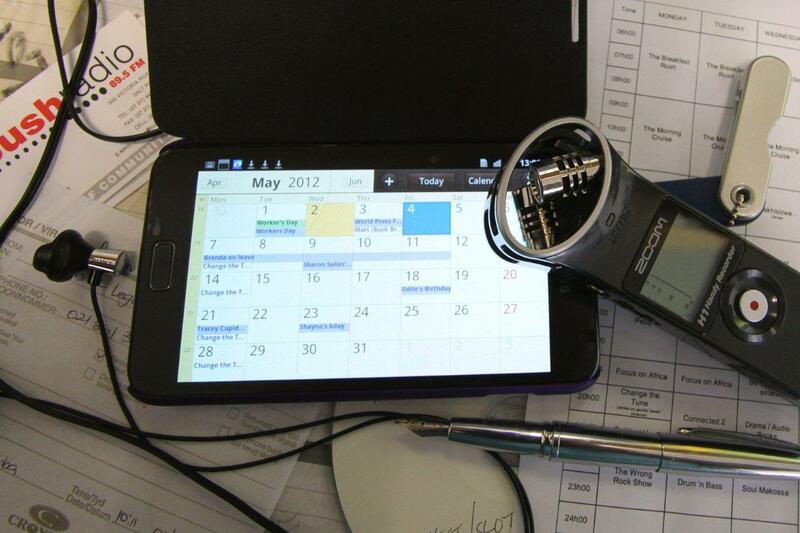 *Fulltime is Monday to Friday, either (06h00 – 02h00, 08h00 – 16h00, 09h00 – 17h00, 10h00 – 18h00 or 11h00 – 19h00). You will not receive payment! 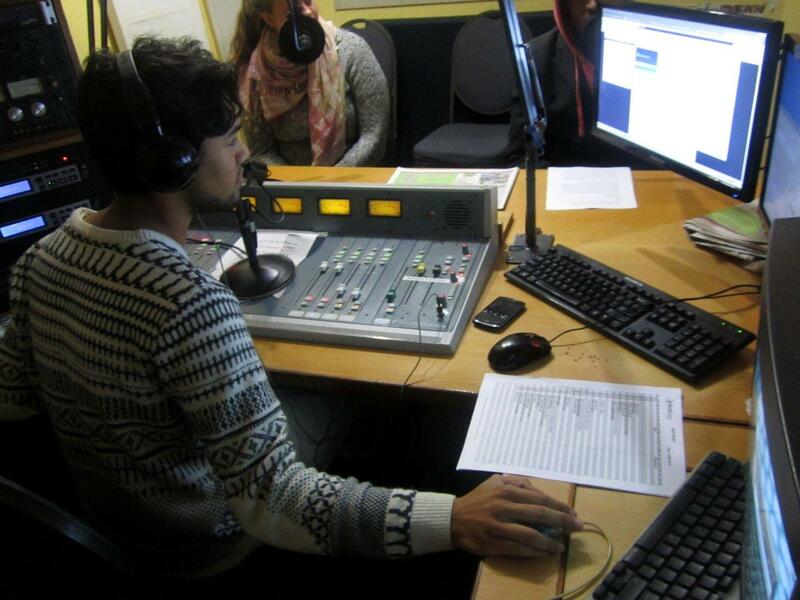 This is a volunteer internship at Africa’s leading community radio station. Training allowance of R500 per month for 3 months (probabtion), increased to R 1000 thereafter, non negotiable for 9 months. Decide which internship you would like to apply for.